Al Runte holds a Ph.D. in American Environmental History from the University of California, Santa Barbara. 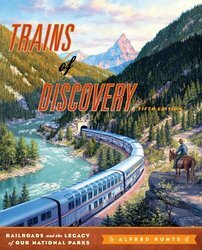 He is the author of five critically acclaimed books on national parks, railroads, and the natural environment, including National Parks: The American Experience, considered standard in the field. He was a principal consultant to Ken Burns during production of the PBS documentary "The National Parks: America's Best Idea," and appeared in all six episodes of the Emmy Award-winning series. Al Runte comes from a family of educators. His mother served on the local school board and his brother taught middle school math. Al's first job before earning his Ph.D. was teaching high school history. Lisa Birnbach's College Book listed Dr. Runte as the UW's most popular professor. Working seasonally for the National Park Service, Al trained interpretive rangers in Yosemite National Park, and now speaks nationwide to audiences young and old on the need to protect our sacred lands. Al Runte was nominated in 2005 by 62,500 Seattle voters for the office of Seattle Mayor. Although not a politician, he emerged from a field of six other candidates in his first bid for public office. Nationally and regionally, he has been an outspoken advocate for the preservation of America's wilderness landscape against urban and industrial blight. Al Runte and his wife of 32 years, Christine, have lived for thirty years in the same North Seattle home. Christine is on the professional staff of the Museum of Flight. Al has been an active member of the Seattle Neighborhood Coalition, as well as other regional and national groups promoting protection of the environment through public education. "Like John Muir, Al Runte has felt the siren call of our saved—and sacred—places, and, like John Muir, he has found a way to share their glories with power and poetry. This is a sensitive, well-written history of our land and the complicated people who call it home." "The book's high production values, engaging and accessible narrative, and timeliness...make this fascinating study essential for environmental historians, students, and the general public." 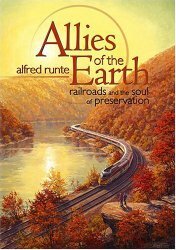 "The fortuitous relationship between America’s national parks and its railroads receives a fresh take in this 5th edition of Alfred Runte’s classic work on the subject. 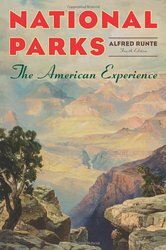 As in earlier editions, Runte offers his keen and eloquent analysis of what the parks mean to American life, and how the railroads often made it all possible. . . The railroads were an essential part of what filmmaker Ken Burns called “America’s Best Idea,” and Runte has no peer in telling that story."